Chinese Ambassador to Uzbekistan Jiang Yan got acquainted with the project of the joint venture Uzwoolentex, which is being implemented on the basis of the complex “Narimteks” in the Fergana region of Uzbekistan, Uzbek media reported. The project is being implemented with the participation of Chinese capital, and the project’s the total value is $8 million. The Narimteks LLC was opened in 2008 and was engaged in the tailoring of women’s clothing at ordinary sewing machines. In 2012-2015, together with Chinese partners, the production process was modernized. 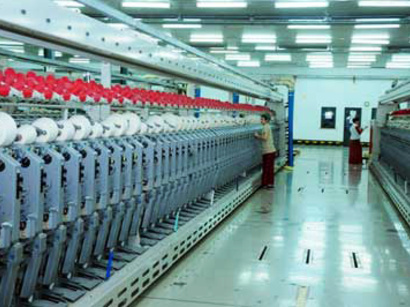 Modern sewing, weaving and finishing machines were delivered and installed. As a result, the company mastered the production of coats, jackets, suits and took a firm place in the consumer market, new jobs were created.